LittaTrap stops litter from Mainfreight site reaching Lake Ontario. 83% of litter counted was plastic. As a global supply chain business with over 250 branches around the world, Mainfreight is one of the world’s largest freight companies offering logistics solutions across the globe. The company has a strong sustainability agenda, and is committed to the protection of the environment. Enviropod has worked with Mainfreight over the years on the logistics of transporting LittaTraps around the world and approached the new Mainfreight Warehouse in Burlington, Ontario to install two LittaTraps in the truck-loading zone. The truck-loading zone manages all the in and out loading and is a bustling site. In a situation like this, packaging materials from the goods can sometimes be accidentally lost & subsequently reach the storm drains. By installing LittaTraps, Mainfreight has committed to protecting Lake Ontario from accidental plastic loss by preventing plastics and packaging from their loading bay reaching the lake. Enviropod installed and then monitored the two units over three months and maintained the units on day 89 of installation. Maintenance is simply performed by lifting the patented basket out, emptying the basket into a recycling bucket and then placing the basket back into the LittaTrap frame. Both LittaTraps had a lot of inorganic and leaf material in the basket as they were installed at the beginning of the Canadian Fall. Once sorted it was easy to see the amount of plastic and other debris that was hidden within the inorganic matter. 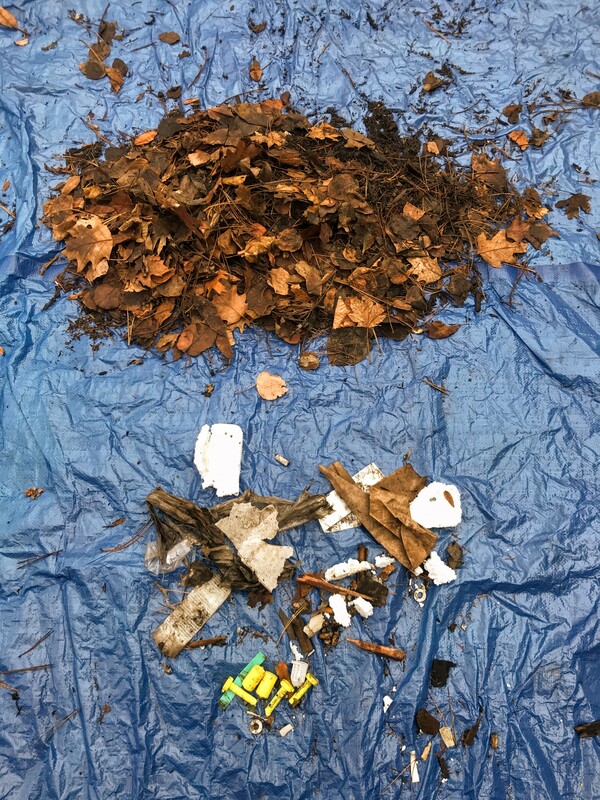 A total of 135 pieces of plastic and other pollutants were found among the leaf litter. This is an average of 227 pieces of litter per catch basin per year. Of the 135 pieces caught and counted, 83% was plastic. This category consists of polystyrene, soft and hard plastics. Of the hard plastic, there were a number of packaging pieces that ‘lock’ the transportation containers together, these get broken off to unlock the containers and can be accidentally dropped. The most common pollutant found across both LittaTraps was polystyrene. This is in keeping with the usage of this loading zone. Polystyrene is a petrochemical-based plastic that is harmful to the marine environment. 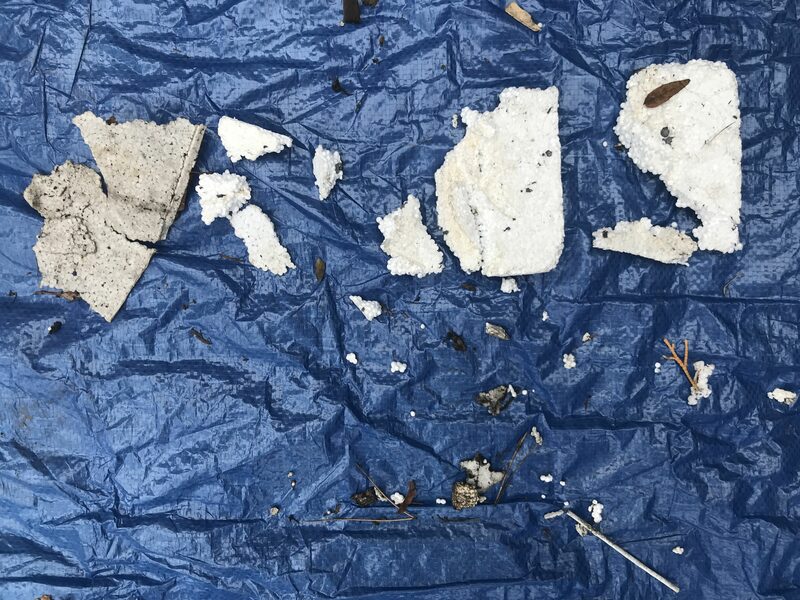 Studies have shown that polystyrene begins to decompose within the marine environment within one year, releasing components that are detectable in the parts-per-million range. The findings here are consistent with our other studies - that loading zones are litter hotspots. 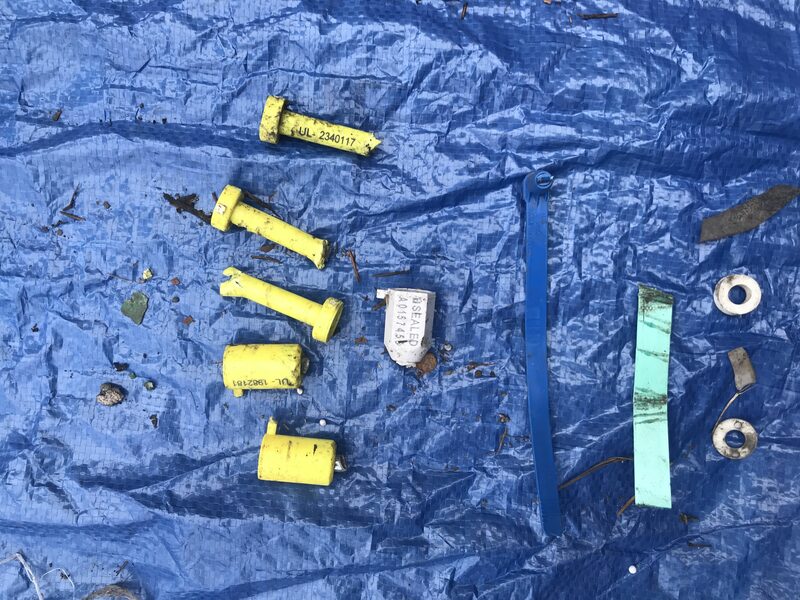 By installing LittaTraps in these hotspots we are able to investigate plastic loading rates and evaluate the role stormwater runoff can play in contributing to marine pollution.